Dear readers; with this April number Our Poetry Archive is in its fifth year of web publishing. We have successfully completed four years over the net with 48 monthly web editions and four Anthologies. It was 1st April 2015; the first issue of Our Poetry Archive was published. At that moment even I had no idea about the future of OPA. Yet it was my dream to create a monthly poetry journal over the internet where writers from different literary traditions with different cultural heritages would gather and exchange their literary vision through their own literary merit and poetical brilliance. No, not at that point of time, when I was preparing that particular first issue of OPA, I had any idea of its future success. Yet I had that belief in my mind with a clear conscience that this cultural exchange between people of different parts of the world with different racial, religious, and national backgrounds is an essential aspect of the human civilization. Poetry is actually an instrument to express the rhythm of our life and also to carry forward the essence of that rhythm towards the future generations as well as towards other communities. Actually poetry brings different souls closer to each other. They touch the inner cords of the hearts and can create a symphony of human souls dancing with the tune of the eternity. We at Our Poetry Archive really do believe this from our heart. All our efforts always remain along with this direction only. Yes, we have come along more than four years across this path to bring different cultural traditions and literary heritages more and more close to each other. 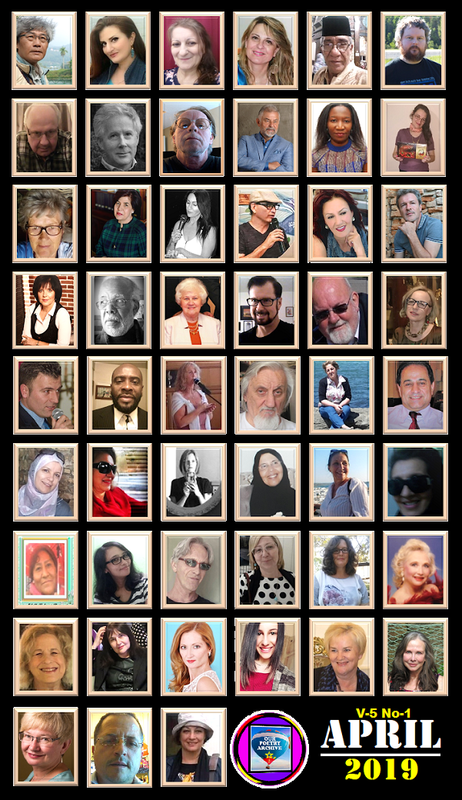 We hope our mission will pick-up to the next gear in the upcoming years with the constant support and contributions of our poets and readers around the world. So I do feel that poetry is a vital medium of cultural exchange. This belief has propelled me physically to create Our Poetry Archive and to publish it monthly so that we can accommodate a considerable volume of poetry over the time. And yes, since then we are doing this phenomenally. And during this phenomenal journey I am really fortunate enough to get unconditional support and tremendous help form few extraordinary people who realized this concept and liked my vision. They have eventually joined in the editorial team to put forward my dream project and have helped OPA to gain international fame through their hard work. Personally I’ll remain ever grateful to each of them. And what OPA has achieved today in the literary field worldwide, credits definitely go to them. I would like to introduce them all to our readers once again. ALICJA MARIA KUBERSKA – awarded Polish poetess, novelist, journalist, editor. She writes both Polish and English. She is an author of many volumes. 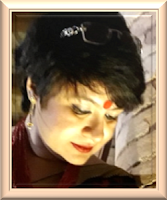 Her poems have been published in numerous anthologies and magazines in Poland, Czech Republic, the USA, the UK, Belgium, Bulgaria, Hungary, Albania, Spain, Argentina, Chile, Israel, Canada, India, Italy, Uzbekistan, South Korea, Taiwan and Australia. She won : medal on Nosside poetry competition in Italy, medal of European Academy Science, Arts and Letters in France, statuette in Lithuania. She was also twice nominated to the Pushcart Prize in the USA. 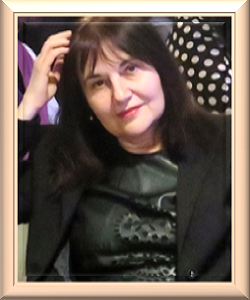 Alicja Kuberska is a member of the Polish Writers Associations in Warsaw, Poland and IWA Bogdani, Albania. She is also a member of directors’ board of Soflay Literature Foundation. Dr. APRILIA ZANK is an educationist, freelance lecturer for Creative Writing and Translation Theory, as well as a multilingual poet, translator, editor from Munich, Germany and an Author of the Poetry book BAREFOOT TO ARCADIA. Born in Romania, she studied English and French Literature and Linguistics at the University of Bucharest, and then moved to Munich, Germany where she received her PhD degree in Literature and Psycholinguistics for her thesis, THE WORD IN THE WORD Literary Text Reception and Linguistic Relativity, from the Ludwig Maximilian University, where she started her teaching career. The research for her PhD thesis was done in collaboration with six universities from Europe, and as a visiting lecturer at Alberta University of Edmonton, Canada. Dr Aprilia writes verses in English and German, French and Romanian and was awarded a distinction at the “Vera Piller” Poetry Contest in Zurich. Her poetry collection, TERMINUS ARCADIA, was 2nd Place Winner at the Twowolvz Press Poetry Chapbook Contest 2013. In 2018, she was awarded the title “Dr. Aprilia Zank – Germany Beat Poet Laureate”, by the National Beat Poetry Foundation (USA). She has been an acclaimed guest at cultural events in Germany, Great Britain, Canada, Turkey, Singapore and Romania, where she read her poems, delivered lectures on various topics. Her poems and articles are published in many ezines and Anthologies of different countries. DEBORAH BROOKS-LANGFORD (poet, novelist, and writer) was born in Gastonia, NC July13 1951 (a military brat so-to-speak). She was the oldest of eight children. Deborah went to High School, in Columbia; SC. They lived in Germany and Spain and Turkey. Her father's side of the family comes from Cherokee North Carolina and her mother's families are English. She now resides in Covington Tennessee. Deborah has been writing poems all her life. Her passion is poetry. She loves to write—writing and poetry and stories are her life. She is a published Author of forty-eight books. Deborah has been in so many anthology books that she cannot count. Deborah has co- wrote lot more poetry books with talented poets. 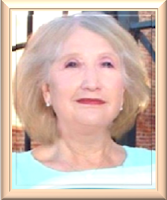 Deborah is Vice President and co-owner plus Marketing director and accountant with WILDFIRE PUBLICATIONS, LLC. She wears many hats. 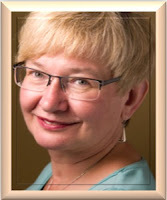 Although she is retired she couldn’t sit still and that’s why she started writing professionally. LEYLA IŞIK: Educator, poet, writer and artist. 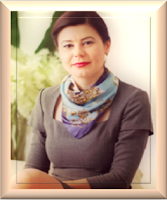 She is a member of the 'World Nation Writers Union' and chief representative WNWU in Turkey. She completed the primary and secondary education in İzmir. She studied at the Teacher Training College in Uşak. 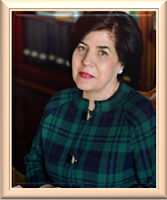 She graduated from the Faculty of Education of Eskişehir Anadolu University and retired from the primary school. She is Vice President of KIBATEK and International Organization and Project Coordinator. Leyla Işık has received many valuable awards in her literature life: 2003 - İKSDER İzmir Culture and Art Association "Halikarnas Fisher Cevat Şakir" First Prize Poetry Award, 2008 - Şaire Mesheti Gencevi (MŞM) Honorary Diploma on behalf of Azerbaijani Baku Poet Mesheti Genjevifor Serving Turkish World Literature. 2015 World Young Writers Association (DGTYB) Literary Award. 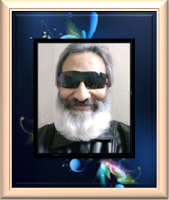 2016 Rumen Dialect, Poetry, Art, Literature Platform International Literature, Friendshipand Peace Prize. 2017 Pablo Neruda Cultural Association "Neruda Award". 2017 Pentasi B World Friendship Poetry 2017 ”Universal Inspirational Poet 2017” award. 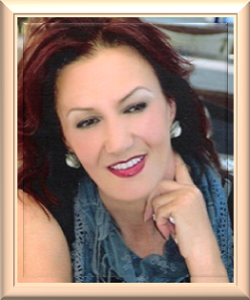 MARIA A. MIRAGLIA: Born in Italy, has an expanded consciousness and considers herself a cosmopolitan. She loves travelling and interacting with people from different backgrounds and cultures. A long time member of Amnesty International for the defense of Human Rights, she herself founder of World Foundation for Peace. She graduated in Foreign Languages and Literatures and got a Master’s degree in Evaluation and Assessment at Aldo Moro University of Bari; a Master’s degree in Teaching of Modern Languages at the University of Rome and the HLC (highest- level Certification) from Trinity College-UK. Maria taught in public high secondary schools, was lecturer in courses for post-graduate students, in courses for language teachers, was tutor in English, Scottish and Irish colleges for Italian students and collaborated with the Department of Education for studies and projects relating to international language certifications. STACIA REYNOLDS: She resides in the state of Ohio, United States of America. She is an Independent Contracting Editor and Freelance Writer, Poet, and the Published Author of Escape Down the Roman Road, A Poetic Journey Through Life, and is also published in various group poetry collections. 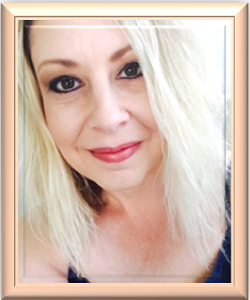 She is also on the Editorial Team of “Our Poetry Archive.” Stacia began her English degree at Owens Community College, continued her BA in English through the University of Phoenix. She is now finishing a degree in Biblical Studies, through Ohio Christian University. She is 46 years old, a follower of Christ Jesus, whose life’s goal is to encourage others with her words. And now we have a new member form Kolkata in our editorial team. She has recently joined OPA. IPSITA GANGULI: She describes herself as a student of the myriad experiences that life holds out. She is quintessentially a “people’s person” and relishes connecting with a variety of lives. Post a 20 year career in the corporate world, including telecom, logistics and luxury hotels, Ipsita has now embarked into a whole new journey trying her space out in the world of industrial manufacturing of enamel and ceramic frits. All through her life she remains a compulsive scribbling her emotions at the back of a notebook or on a tissue paper. Her poems have been published in several national and international e zines and anthologies over the years. Her recent book” Of Love, Longing and Random Pondering” was launched in the Kolkata Book Fair. And finally I would like to thank all our poets; it is only for their continuous support and contributions that has helped us to achieve this so far. We’ll remain obliged ever to each of them. Thank you all.